Retailing moving from location based to occasion based: With real estate getting more and more expensive, retailing has pivoted its focus from location driven business operations to occasions-based business focused on weddings, birthdays, etc etc. Logistics & Delivery centers: With the growing e-commerce retailing space and upcoming smaller players in the market, the logistics and delivery centers market has a lot of potential for growth. 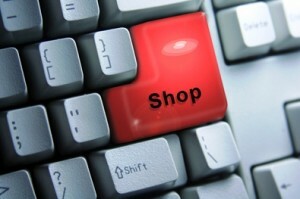 Payment gateways: Newer payment gateways need to be introduced for different market sets. Regional or Country-driven systems would emerge and then hook up with the global payment gateways. The importance of foreign exchange management and treasury operations would rise. Mobile based solutions: With mobile penetration growing in developing countries as well, there would be a higher need for mobile based solutions for retail sales, advertising, consumer need assessment and market reach. E-commerce platforms: More and more players would emerge, smaller ones of which would focus on niche markets with product differentiation as their key to growth. Supply Chain Management professionals and solutions: There is going to be more need of supply chain management professionals who would likely have a degree in language as well. A good chunk of products would manufacture in China and knowing Chinese would create a definite connection with the suppliers. Also, more organized supply chain solutions would need to emerge, systems catering to the SME end of the market, not just the big players. Less jobs for women in retailing; more jobs in logistics (mostly for men): Since traditionally, retail has been a major employer of people, especially women, there will be a decrease in jobs in the traditional retailing sector as companies reduce their square footage of retail space. This could lead to growing number of women entrepreneurs in this vertical with the requisite experience, but energies would need to be channeled in accordingly for that to happen. Lifestyle change from routine jobs to unstructured enterprises: The nature of work would change for a vast majority of people who would now not expect to work in the safe, secure 9-5 shifts that are time-focused, but instead work on a flexible, results-based (efforts-focused) working model. Clearly, the retailing landscape will drastically change in the next 15 years with several new names emerging and leading the show. 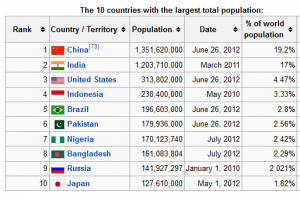 4 out of the 7 billion people live in 10 of the 196 countries. This would have implications on how marketing is done, where power circles of tomorrow would flourish and what trade balance will be like. 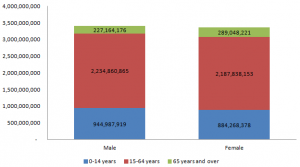 Moreover, 3.27 billion people form the current global labor force. With the median age of 28, the world will choose the products it will consume and the services it will pay for. Political leaders, businesses, marketers with a global outlook will only be ahead of the game if they understand this global demographic. Increasingly, the world is becoming so interconnected that almost anyone expecting to do meaningful work for the networked economy needs to take note here. 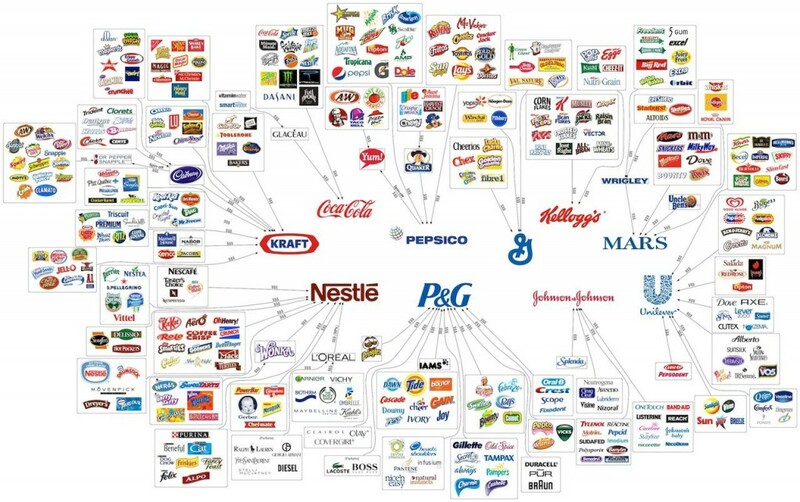 The shows world of retail in a bit of detail.. these few companies control the world’s consumption.. well, most of it. As paradoxical it is to know man seems to have mastered the beasts since ages despite its apparently weak physical build and smaller size, it is intriguing to understand accept that technology has and will only increase this mastery – in this new economy, no more is it about brick and mortar structures any more. I can imagine many corporation heads deriving a sort of satisfaction from that lovely facade, pleasant water fountain, the corner office and brigade of people reporting to the individual. Hofstede’s study on cultural differences took into account the space being indicative of a particular cultural setting and the power reposed in a position – I wonder if the same study conducted now would keep such high importance on space- power distance is not as important as it used to be. 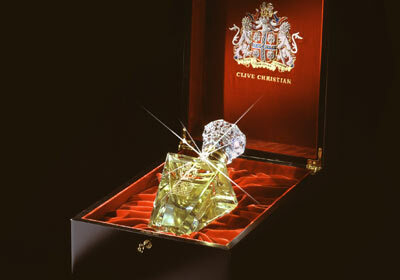 With the possibility of reaching infinity in various spheres now becoming realistic, things are fast changing. In this new economy, it’s about getting smarter – no more do you need a brigade of semi-competent, highly specialized individuals to run huge departments. Now, you need competent, versatile, technology-savvy, proactive, learning individuals. 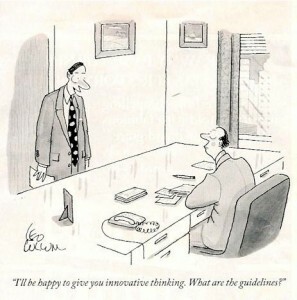 It’s all about the battle of minds in the new economy – whoever has the best minds would be the winner in the long-term. Clearly, this would mean new types of work setting, more global cultural exchange, common business terms across a wider world, more emphasis on technology, more emphasis on innovation (not just the regular rut, but actual productive work delivery) and definitely newer, higher and remarkable compensation for those who qualify. 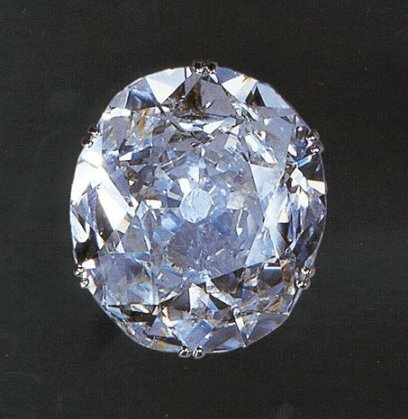 Some years into the future, all jobs, except non-tradeable ones, would be benchmarked on global parameters as far as standard of craftsmanship, quality and pay are concerned. It’s clear the coming decade is going to produce more millionaires than in any previous decade in human history – since every mind is a factory with growth and productivity as output deliverables, innovation being the point of distinction and the channel (internet and the new media) becoming widely available, the way the world works is bound to change. The age of industrial revolution is fast fading, the fixed-form factory work environment is obsolete. The sooner we accept it, the better it will be for our future. The world is changing; the question is are you geared up for it? There are instances when one feels quite helpless at the state of affairs and wonders how could he make any positive difference. Indeed, the recent floods in Pakistan is one such occasion when many Pakistanis are feeling this way. Around 20 million people are estimated to be affected by the floods directly and innumerable societal affects on a broader scale. It is a natural disaster of such a huge scale that government, military, NGOs and civil society are working together toward saving people and helping survivors still feeling quite helpless. All these issues seek an immediate attention. It is clear that resource scarcity, ineffective resource mobilization and difficulty in doing rescue operations due to geographic difficulties are significant hurdles in the near-term. It indeed is a big loss and it cannot be corrected in one day, one week, one month or even one year. The short- and long-term goals for putting things back on track and bringing the house in order would need huge amounts of dedication, efforts, mutual support and commitment to a unified goal – of progressing together and reviving again. More than monetary aid, these are issues that need human care and support. 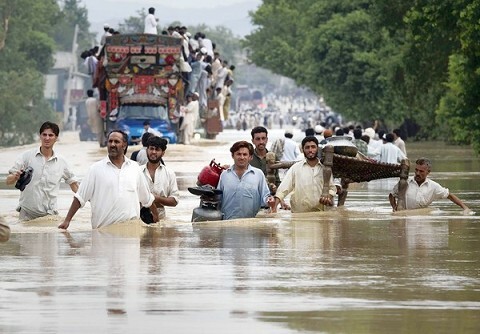 Pakistanis are a resilient nation. They have been through worst of conditions. As long as they stand united, I am sure the revival will come through. All that is needed is a firm faith in Almighty, coherent policies at the governmental level, support from all segments of the society and most importantly BELIEF in oneself and each other. As we stand today, the size of the world GDP is estimated to be $70 trillion and the global population has registered to the level of 6.8 billion. However, the dispersion of income and power play amongst nations is clearly unbalanced. Today, USA is supposed to be the only superpower in the world, but that title is fast fading amidst rising Asian forces from China and India. 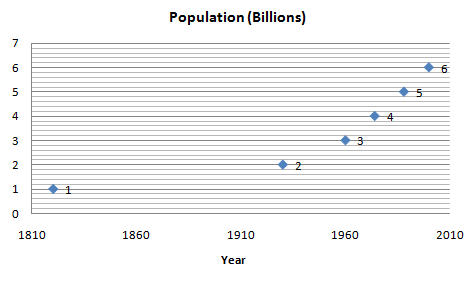 In terms of population, the world has been exploding at an exponential pace. 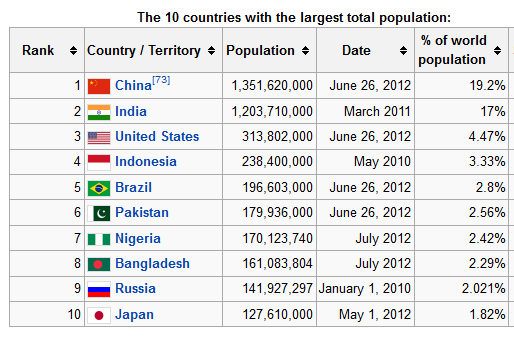 With the global population crossing the 6 bn. mark in the year 2000, things started changing rapidly. Now, China and India jointly comprising around 37% of the global population and the power balance is shifting. We live in the information age today, where knowledge truly is power and economic prowess of a nation only can lead it forward in the global superpower race. There is no denying to the fact that USA would have a difficult time retaining its unipolar strength in these changing dynamics. It might not be the biggest land area covering country on the face of earth, but USA is a huge economic force with its GDP standing at $14.26 trillion (20% of the global GDP), the country is ahead on the technology curve and thrives on innovation spearheaded by entrepreneurial activity spread all over and the country focusing its efforts on high-end value-added service sector accounting for about 77% of its GDP. Geographically, USA has clear advantages over other upcoming superpowers. It is practically sharing borders with only two countries: Canada on the northern end and Mexico on the Southern end. Additionally, one very important point is clear in the picture below that USA has access to water from two of the largest oceans in the world, Pacific and Atlantic Oceans and it also reaches the Gulf of Mexico on the south-eastern end. Although 71% of earth is practically water, the geopolitical climate of the world dictates that water would be a major reason for clashes in the next big World War. Here, USA clearly has edge over its chief rivals in the power game. The off-shore oil exploration seems to be more practical again in USA’s case due to access to various oceans. 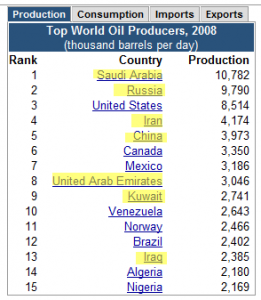 At this point, it is noticeable that the per capita consumptions of oil in USA compared to China are huge. 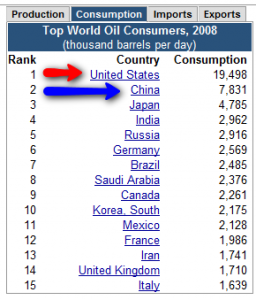 According to Nationmaster.com, USA consumed 68.672 bbl/day of oil per 1000 people whereas the consumption of oil in China stood at only 5.733 bbl/day per 1000 people (2007 data). This is definitely going to change with China working out as the ‘Global Factory’ for all the top companies all over the world. Moreover, with the increasing level of urbanization and increasing income levels in Asian countries, the per capita energy consumption is bound to shoot up. China has a very different geography to deal with, having 14 nations bordering the country, it needs to diplomatically champion its ties with them in such a way so as to assure not only geographic security, but also economic prosperity. China borders with Afghanistan(76 km), Bhutan (470 km), Burma (2,185 km), India (3,380 km), Kazakhstan (1,533 km), North Korea (1,416 km), Kyrgyzstan (858 km), Laos (423 km), Mongolia (4,677 km), Nepal (1,236 km), Pakistan (523 km), Russia (northeast) (3,605 km), Russia (northwest) (40 km), Tajikistan (414 km) and Vietnam (1,281 km). 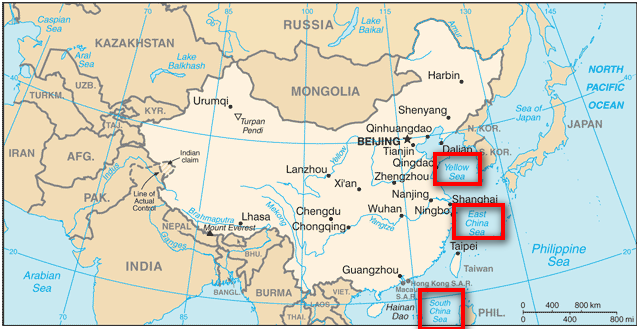 Due to its geographic position, China’s sea routes pass several different countries coming from the Arabian Sea on the west, and this wet bulk (Crude oil) transportation is especially risk-prone considering any unstable conditions in the region. It, therefore, makes perfect economic sense for China to help Pakistan develop Gwadar Port and adjoining infrastructure in the Baluchistan province so that the trade route for China becomes more manageable. Also, the reason for China’s keen interest in the Iran-Pakistan gas pipeline and other oil/gas exploration and transportation projects in and through the Central Asian countries is the importance of these to China’s geo-strategic success. As the country grows further, so will its energy demands and consequently, it would need to focus on developing sustainable solutions for energy issues through the Central Asian Republic countries and other countries on its western border. To sum up, China is an evolving power center; it has to develop and crystallize a range of strategies for geo-political security amongst other developments. So far it has been doing a good job in making sure that its long-term sustenance is not sabotaged by geographic challenges. It has to work on many different projects to achieve the status of a super power in this unipolar world. Courtesy for data and graphs is CIA The World Factbook and World Consumption & Production data is taken from US Energy Information Administration Website.